It is surprising to me how little we talk about the strategy behind networking on social media sites as business owners. In fact, I’m always a little thrown back when a business owner tells me that they aren’t on social media themselves (yet they’re using social media in their marketing). Folks, the internet is not going away. You think Facebook is dumb? Fine. Try using another social media site for your networking. Just don’t think these things are going to vanish, in fact…they are just going to get used more and more as we continue to move in a digital world. Social media may change (anyone remember Myspace? ), but it is not going to go away. There will be some form of social media, but bigger and better as we move along. Also, if your business is using social media…you should be there too! Yes, it’s smart to hire a company to assist you (ahem, we do this) but still, you are the business owner and you should be familiar with the platform your company is marketing on. secured new business by way of Facebook messenger. I’m not kidding. Potential clients send me a message, I reply, we build rapport and boom…new client. Now I’m not saying to go out there and start posting stuff about your business 7 days a week. In fact, there is social media etiquette we should all follow as business owners. We are all annoyed by that person who constantly posts out sales or shares every single company posts on their personal profiles. Some of us unfriend these people. Join groups on Facebook and LinkedIn and start engaging with others. Take the time to read and respond to what they are posting. Post value. The majority of your posts should provide value to your followers in the form of education, tips, advice or information about your industry. Ask questions. Then LISTEN. We took a poll to see what topics business owners wanted to hear about and used that to cater our services. Still stumped? No worries, friend. This is something we can help you strategize. 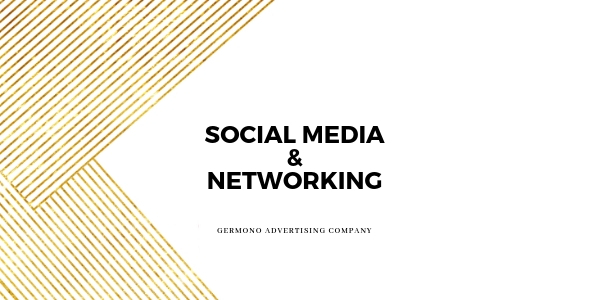 It’s one of the things we love to consult with our clients on- so if you’re ready to position yourself as the expert in your industry and learn how to approach social media in a tasteful, effective way for your business…give us a call, 757-777-3780 or send me an email Lindsey@Germono.com.